Wordpress 101 for Boomers, a photo by totemtoeren on Flickr. 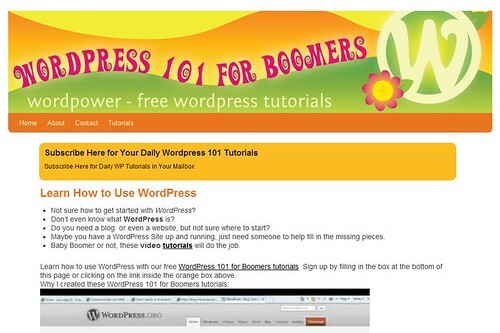 Welcome to WordPress 101 for Boomers, a series of free WordPress Video Tutorials for Baby Boomers and others. >My name is Heidi Caswell and I’ve been learning about and building WordPress websites since 2005. Not the only thing I’ve been doing, but always fascinated by the endless opportunities the WordPress platform offers small business owners. It isn’t unusual for me to get a call from someone, needing help with their WordPress site. I’d make littlevideo tutorials on the fly (using Jing) and email them back, showing how to do something they were trying to figure out. There are many WordPress tutorials online. I did not feel the need for more. Yet I continued to get SOS calls for help. Rather than answering similar questions over and over,, wouldn’t it be easier to point to a video. And if my clients have questions so do others. In the spirit of Open Source, I’m offering these tutorials for free to all. With that in mind, excuse the quality of my audio as I’m using what tools I already have. Yes, I can record with my headset, but I wish for quieter keystokes and a louder voice. WordPress is an Open Source program. Means you have many talented programmers developing the software, making improvements, sharing freely so we can share our voice. 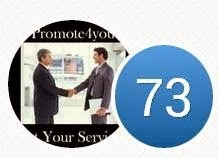 Thanks those who help you, promote the platform, the developers of your favorite plugins, themes. As you are able, contribute $ towards their work. If they can support their family, they’ll continue to make us cool code. Myself, I’ve included affiliate links throughout the site. These are companies I’ve purchased from or used for a client. Products I recommend from experience. When you purchase from one of my links, that company pays me a commission. It doesn’t cost you anything more, but pays me something for my time and resources. Those who prefer to have the more technical stuff done for them, so they can concentrate on their business, I also provideWordPress Services. Chip in and share your thoughts and comments on each post’s page. Ask questions.